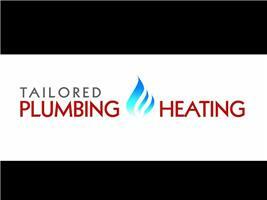 Tailored Plumbing & Heating (UK) Ltd - Central Heating Engineer, Plumber based in London, Greater London. Since 2012 Tailored Plumbing and Heating (UK) Ltd has been providing a unique bespoke plumbing and gas/electrical heating (electrical subcontracted out) service to the Greater London area. We cater to individuals and we attribute our success to our excellent customer services which is second to none. Our values are based on; Passion – We are passionate about everything that we do. Taking pride in ones work is a passion to which all of our engineers project. This is illustrated by our 100% customer service satisfaction surveys year after year. We pride ourselves on our extensive experience in order to provide our customers with the best heating/plumbing solution catered to suit them. Integrity – We develop and deliver our services with full transparency and openness in all of our actions. Our prices are extremely competitive in the market and our approach during and post completion of work is ethically to take accountability for all of our actions and services. The price you are quoted is the price you will pay.